Reckless Driving in Washington is a gross misdemeanor. That means it is punishable by up to one year in jail and a $5,000 fine. In reality, very few people get a punishment like that for Reckless Driving. The crime occurs when you drive with “willful or wanton disregard for the safety of persons or property.” This can include extreme speeding, dangerous aggressive driving, or more. Reckless Driving is very fact specific. In addition to the jail and fines, a Reckless Driving conviction will cause you a 30 day license suspension. What does a 30 day license suspension mean for you? First, you will not be able to drive during that 30 days under any circumstances. Doing so is a separate crime of Driving While Suspended. After the 30 day license suspension, you will have to pay a reinstatement fee. Also, conviction related license suspensions require you carry SR-22 insurance as well. This will result in higher insurance premiums for a certain term. A Reckless Driving conviction can cause you stress and problems for years. If you have been charged with a Reckless Driving offense, call Vancouver WA criminal defense attorney Roger Priest today. Not only can we help you understand the consequences, we can help you devise a defense to fight the charges. 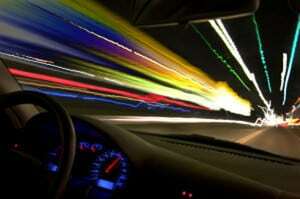 It is sometimes possible to reduce a charge of DUI to Reckless Driving. Although they are technically equally serious charges, a Reckless Driving charge is often less problematic than a DUI conviction. A DUI conviction requires a longer license suspension, mandatory jail (or electronic home confinement), higher fines and fees, and at least one year of an ignition interlock device in your car. Depending on the circumstances, an experienced DUI lawyer like Roger Priest can help you negotiate your DUI to a Reckless Driving to avoid both the stigma and enhanced penalties of a DUI conviction. Most people agree, they’d rather have to explain a Reckless Driving conviction to an employer than a DUI conviction. Either way, it is important to know that a DUI reduced to a Reckless Driving will still count as a “prior” DUI for sentencing purposes if you receive another DUI in the next seven years. This is important, because after your first DUI, the penalties get much worse in the state of Washington.